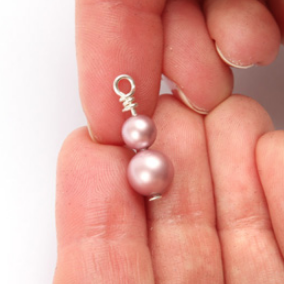 With a few simple techniques you can make a wide variety of different jewellery designs. You can master the most common basics by following the steps below. Jump rings are used to attach one piece to another. Usually they are used to attach clasps and join charms to a design, but there are lots of possibilities for using jump rings. Follow the simple instructions below or watch our HOW-TO VIDEO to learn how to open and close your jump rings. 1. 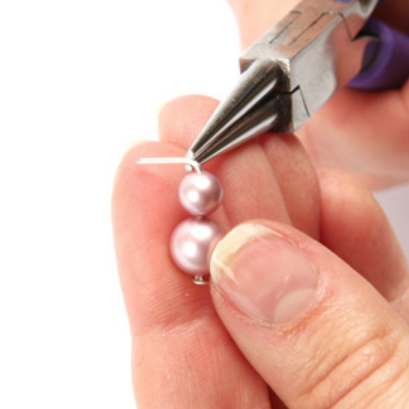 Grip the ring on either side of the opening with flat nose pliers. 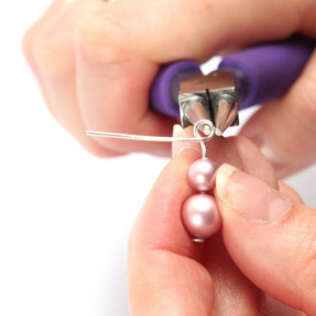 Turn the pliers away from each other in opposite directions to open the ring. 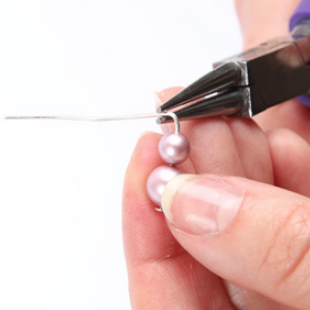 Do not try to pull the join apart as it will lose the form of the ring. 2. 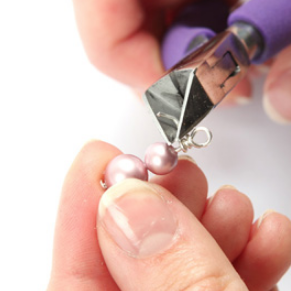 Hook the ring on to your jewellery and close by twisting the ring back in to place. You should hear a 'click' as the join closes. 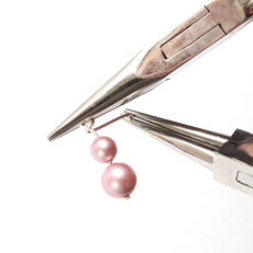 Beads can be threaded on to headpins and eyepins to create dangles and connecting pieces. Follow the simple instructions below or watch our HOW-TO VIDEO to learn how to create loops on your pins. 1. 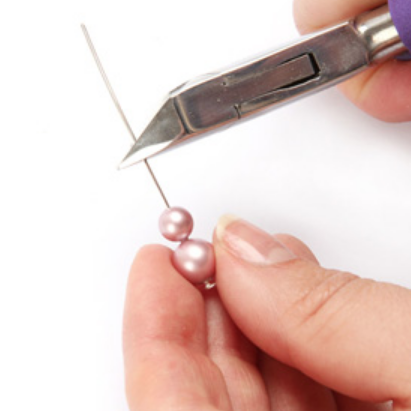 Cut your headpin or eyepin to 1cm above your bead. 2. 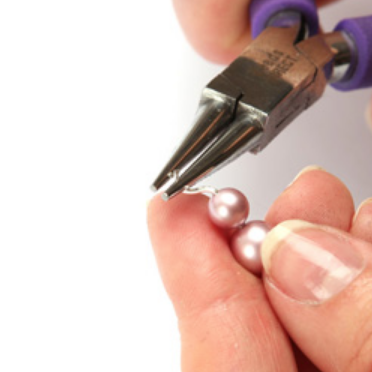 Use the pliers to bend the pin at a 90° angle. 3. Grip the end of the pin and turn to start forming a loop. 4. Bring the end all the way around to close the loop. Wrapped loops are more difficult to master but they are useful when you want to make sure there is no gap in the loop. This can be important if you are looping on to a fine material that might come through the gap. Follow the step by step instructions below or watch our HOW-TO VIDEO to learn how to create loops on your pins. 1. 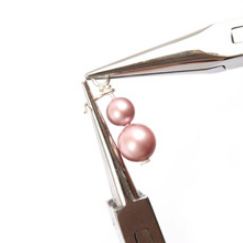 Don't cut your headpin or eyepin as you will need a long 'tail' to create your wrap. 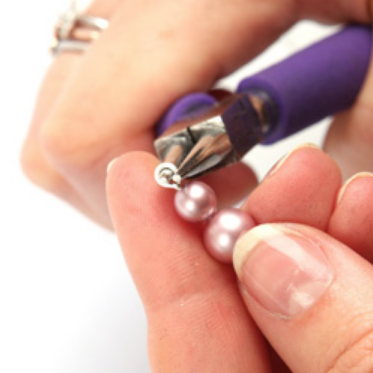 Bend it at a 90 degree angle a few millimetres above your beads. 2. Bring the end around into a loop until it crosses back over the pin. 3. 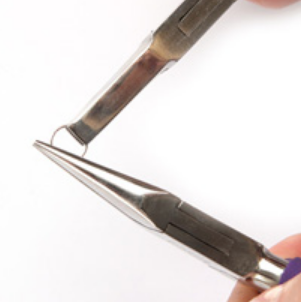 Grip the loop in some flat or snipe nose pliers and grip the end in your round nose pliers. Start to wrap the end around the base of the pin. 4. Wrap around approx 3 times or until you have covered the visible base of the pin. 5. 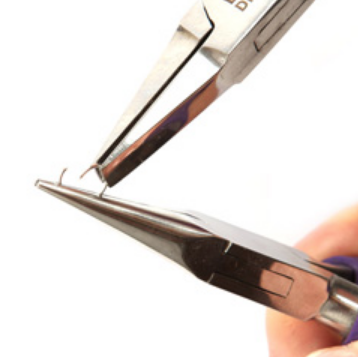 Cut off any excess using wire cutters. Your finished wrapped loop should look like this.